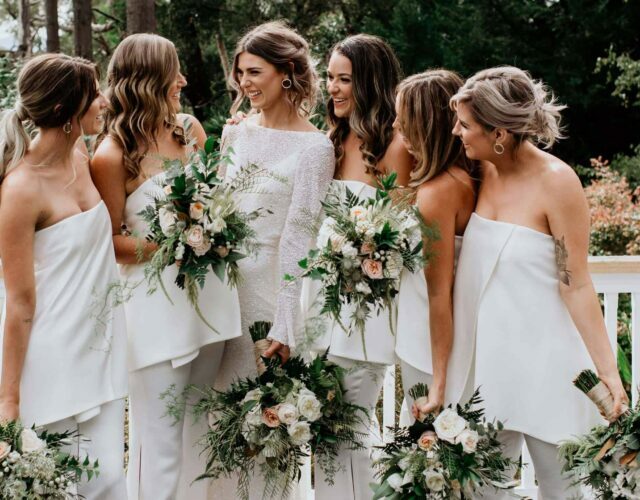 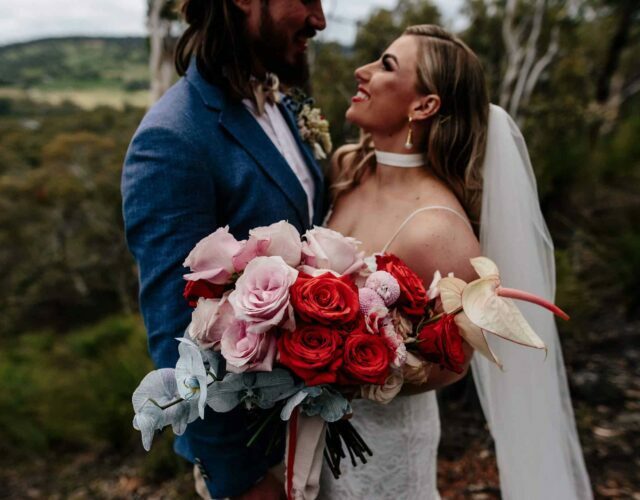 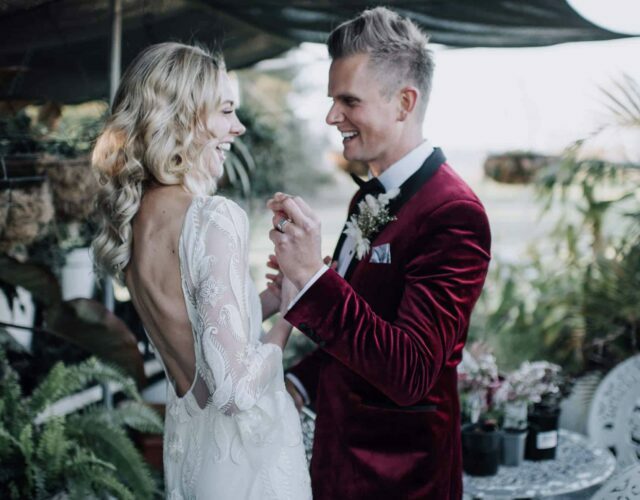 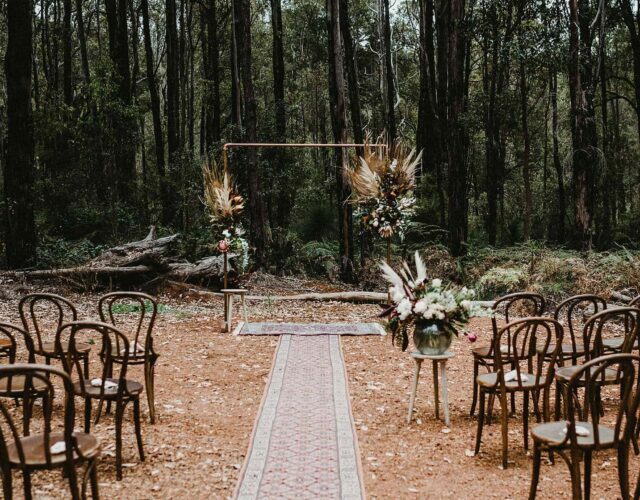 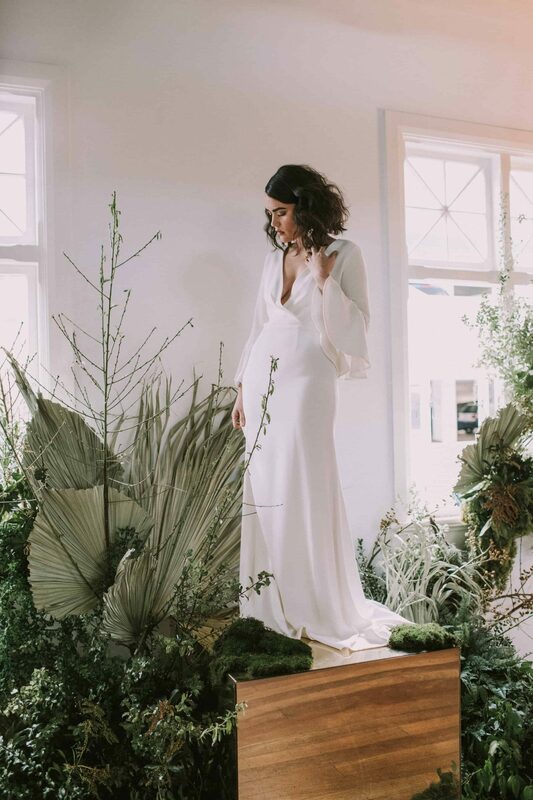 A bright and airy space with beautiful character features, it’s no wonder that The Flour Factory is a firm favourite amongst Perth couples and wedding vendors alike. 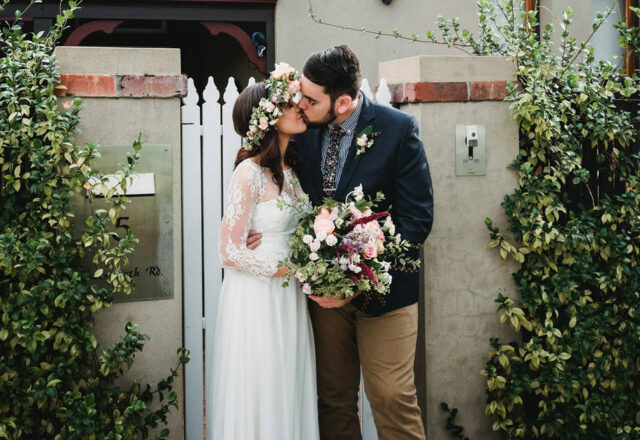 Ideally situated in the CBD, the former flour mill is opening its doors to engaged couples for an Open Night this Thursday, 13 September. 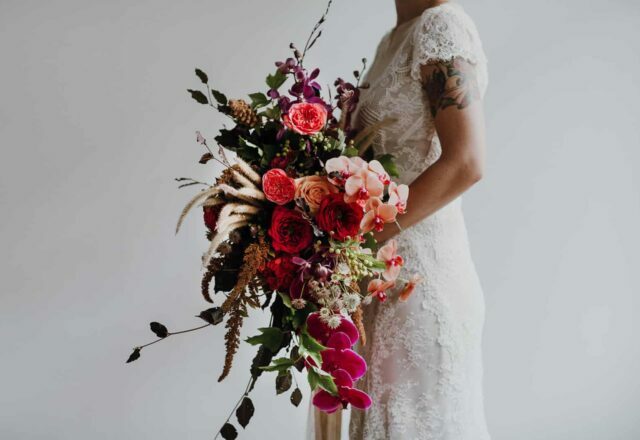 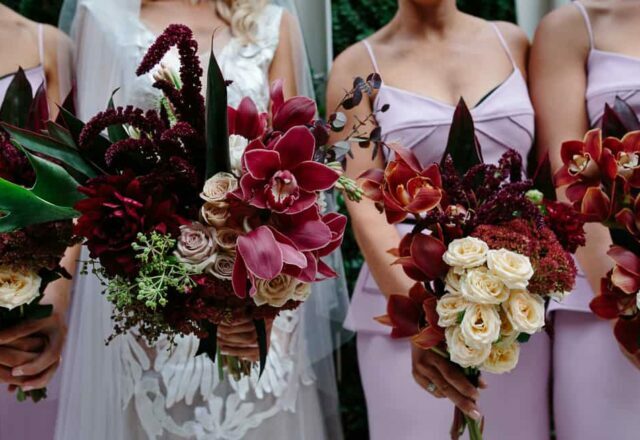 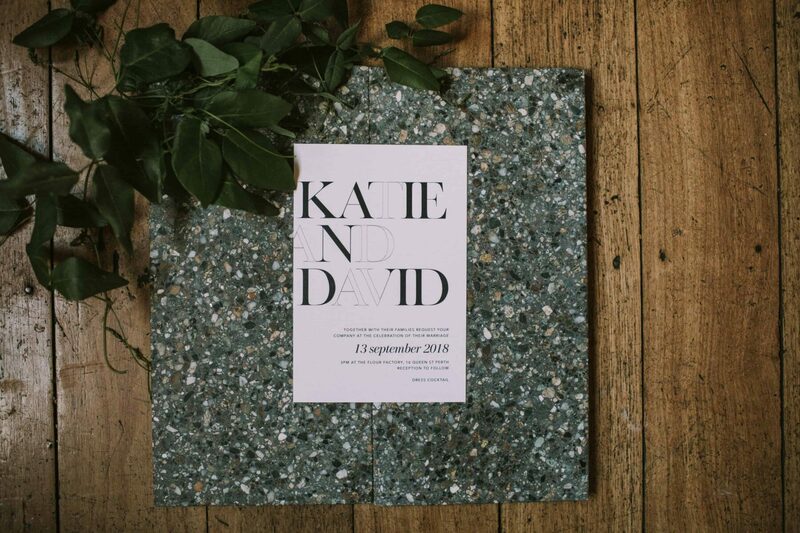 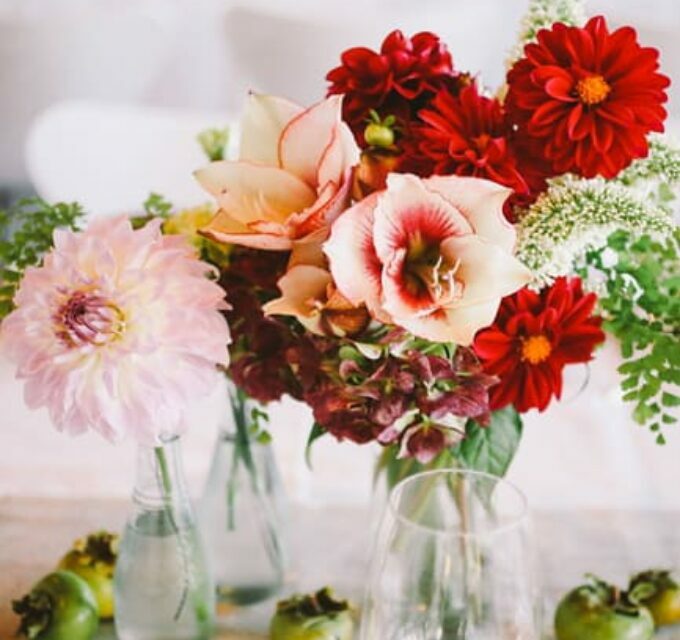 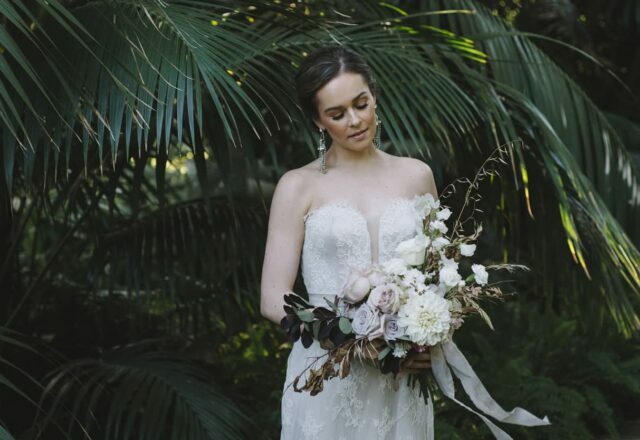 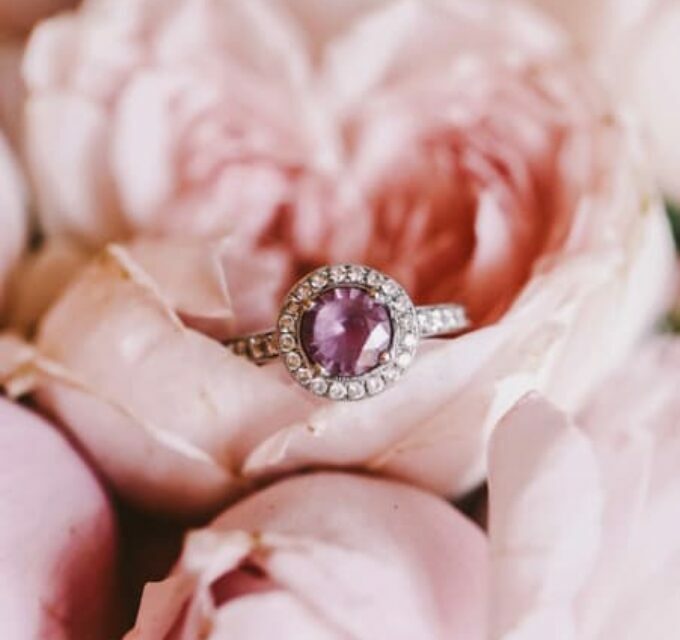 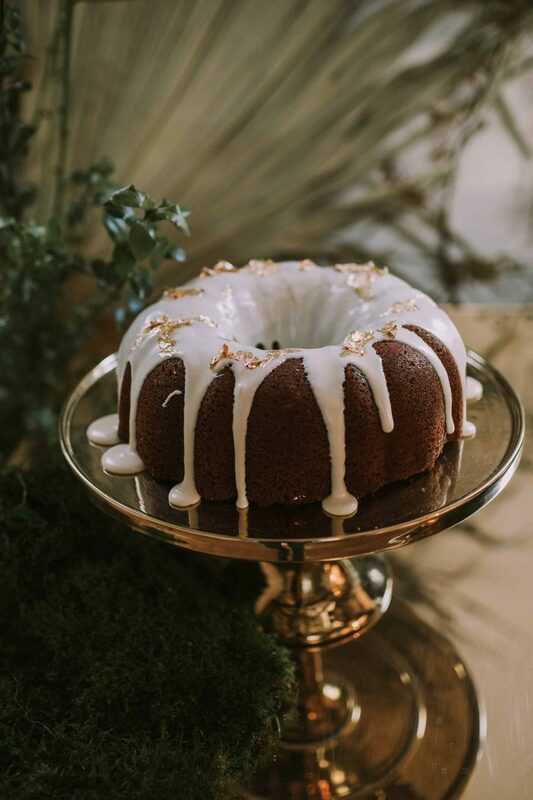 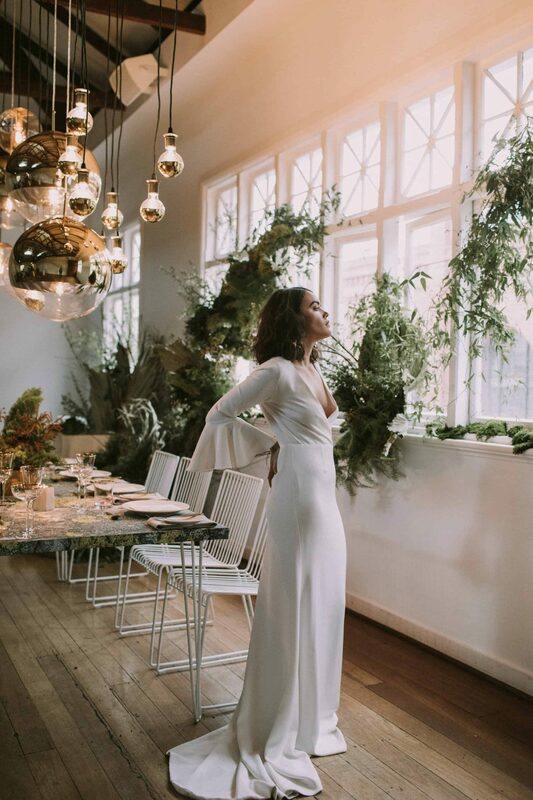 Some of the vendors involved got together to work their magic, putting together a styled shoot with elegant details aplenty, captured beautifully by Natasja Kremers. 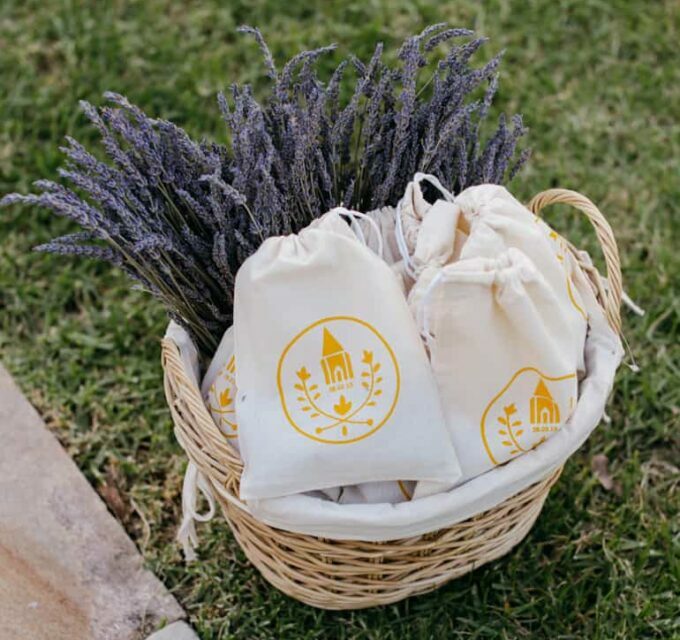 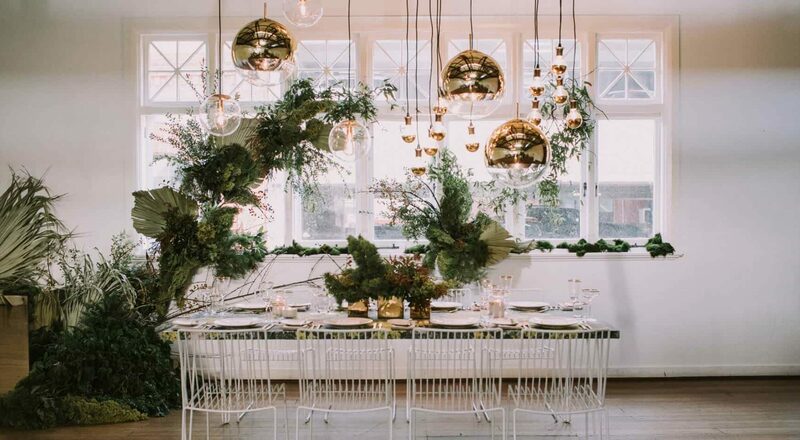 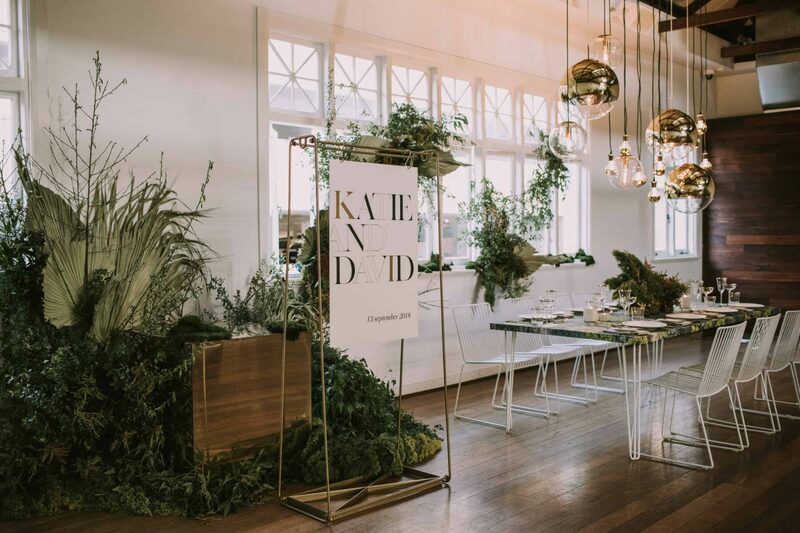 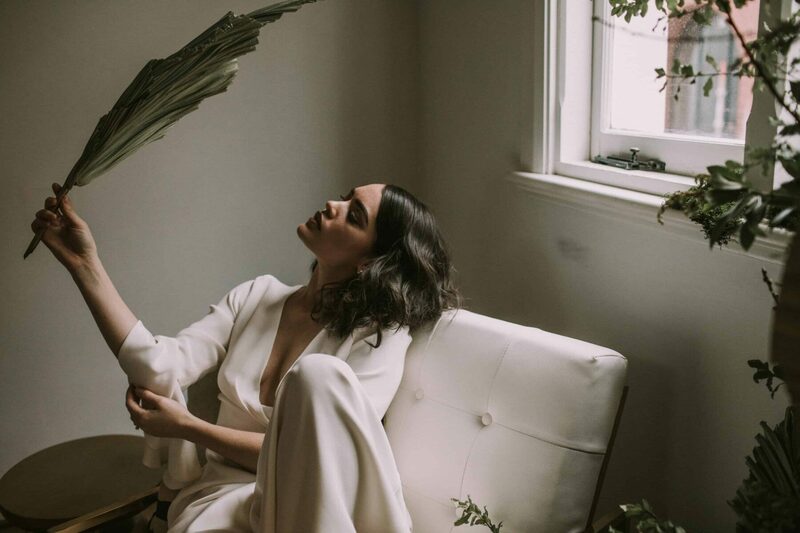 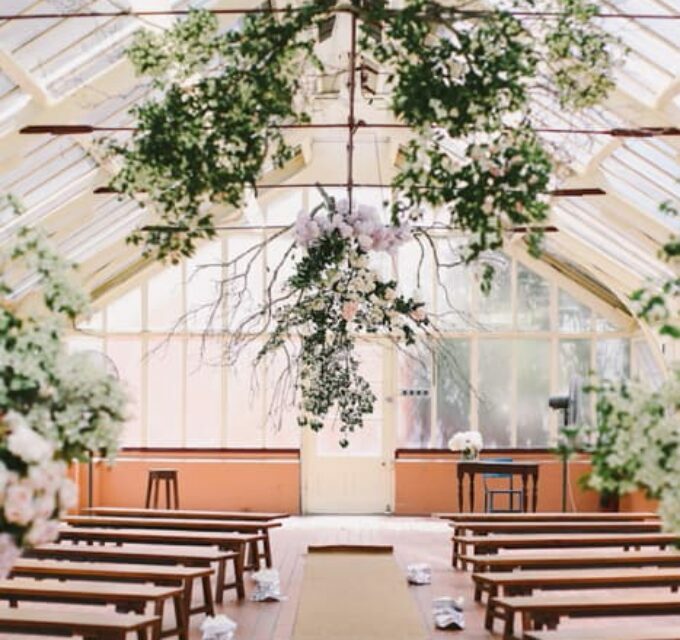 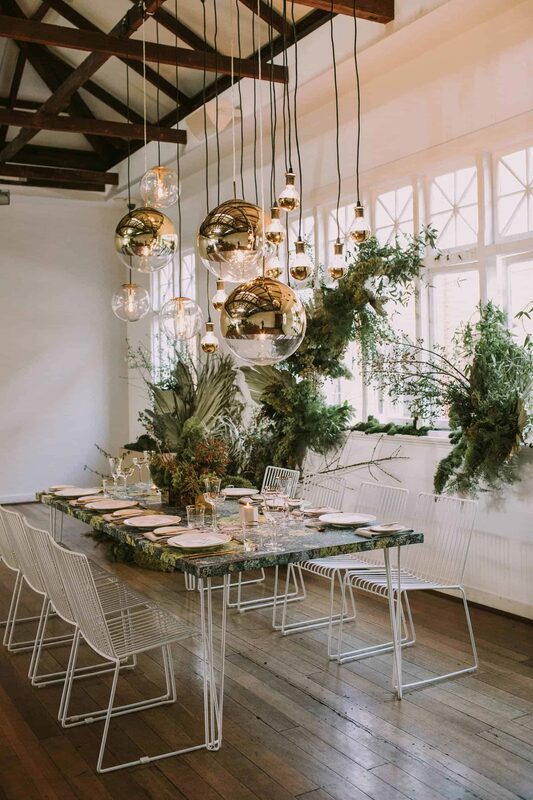 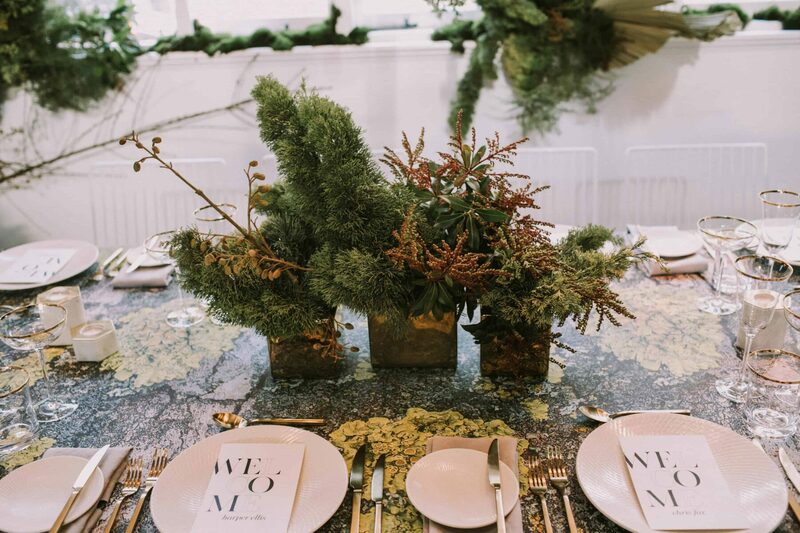 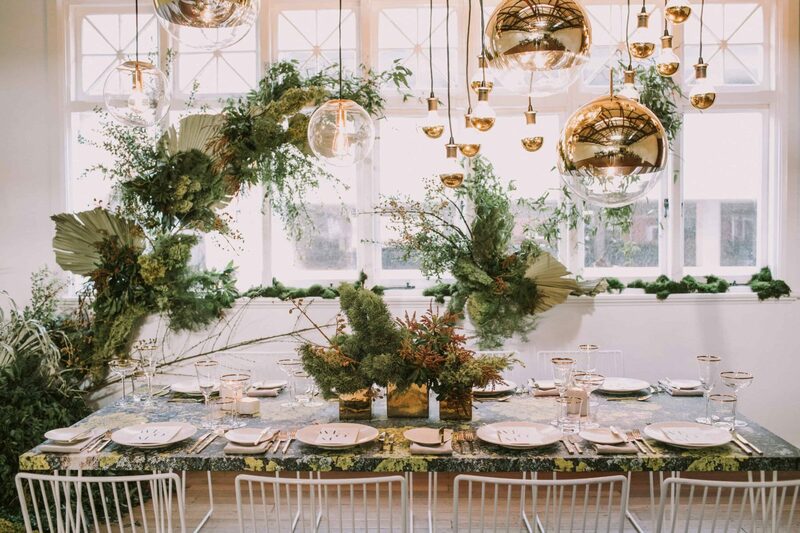 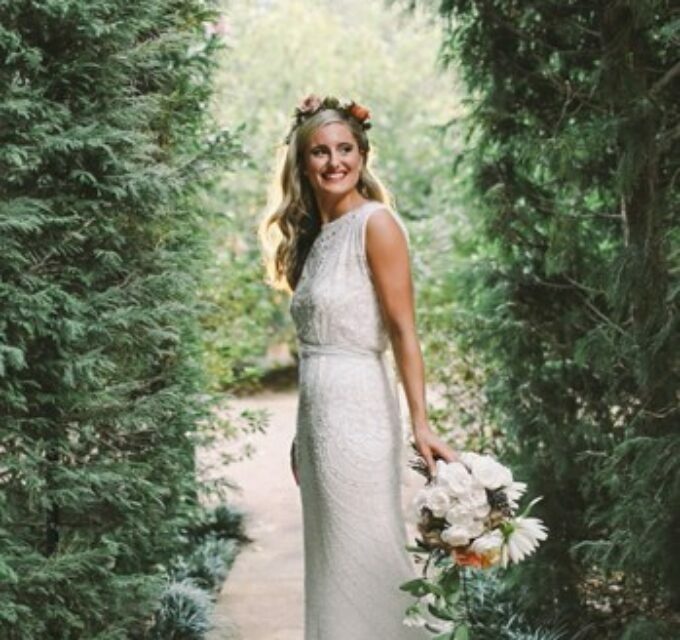 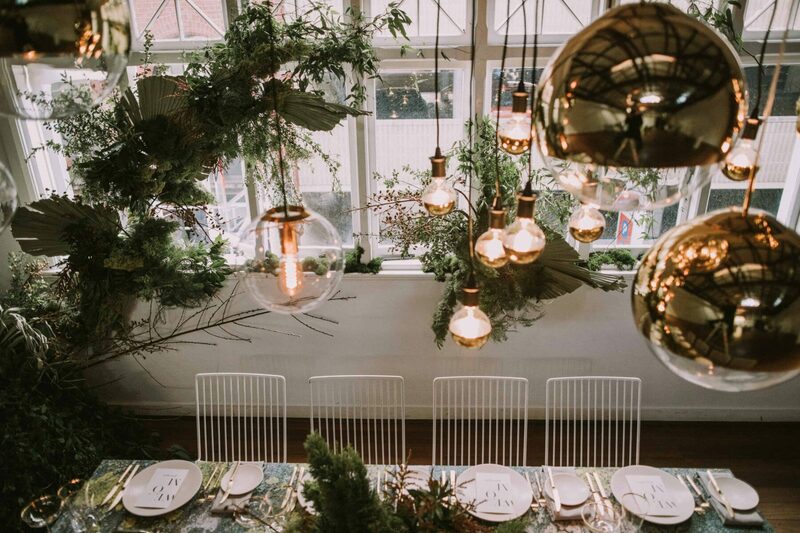 Stylist Tiffany Keal wanted to highlight the impressive architecture of the venue by keep the styling minimalist and sophisticated, with golden details creating a sense of elegance and overgrown organic greenery by Fox & Rabbit bringing a contemporary feel to the 100-year-old building. 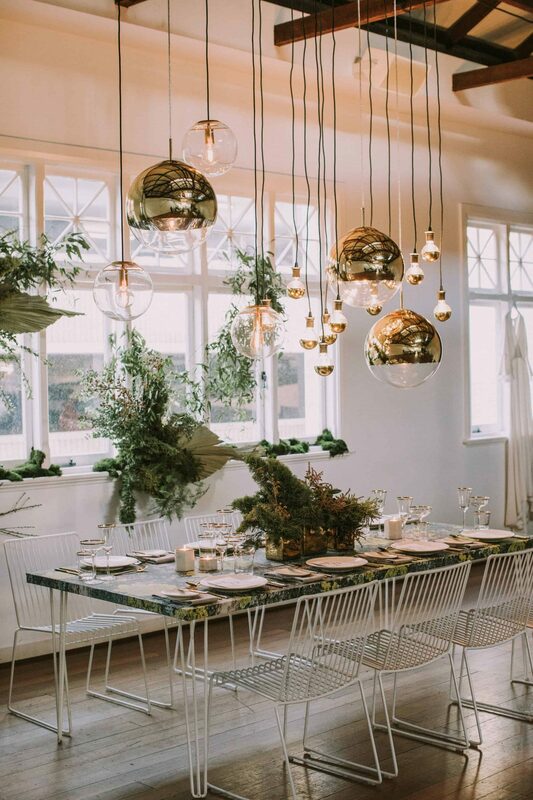 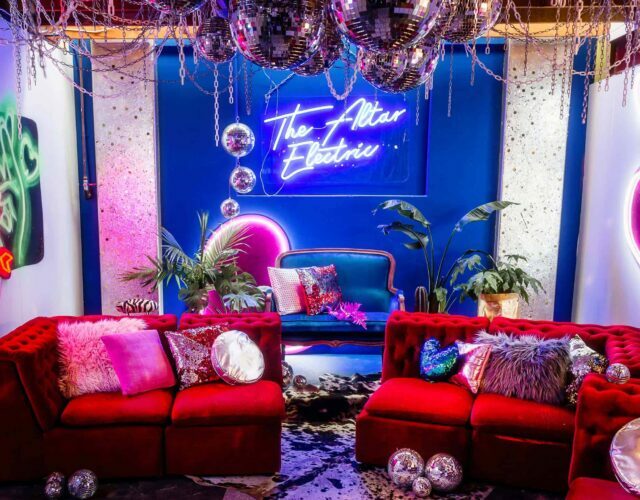 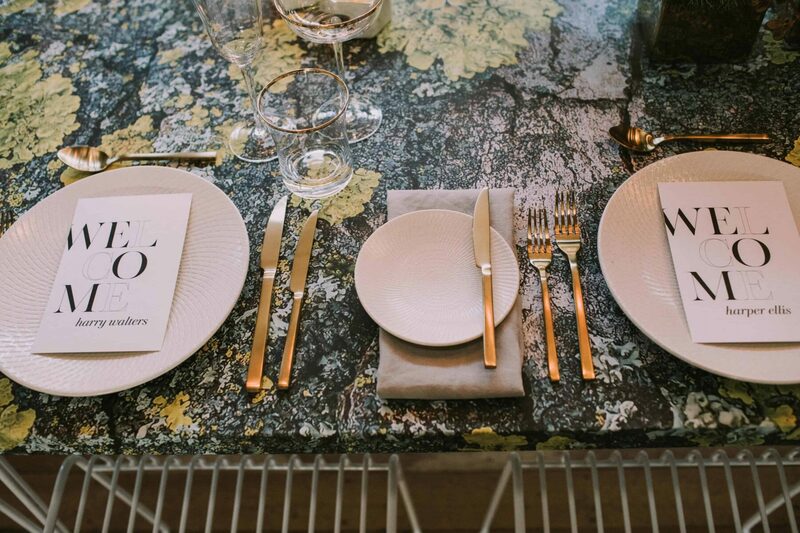 The modern aesthetic is enhanced by the use of simple, typographical stationery by Paper Fusion, gold-dipped pendant lights by Micktric Events and contemporary furniture and tableware featuring shades of grey contrasted by gold accents from Event Artillery and Hire Society. 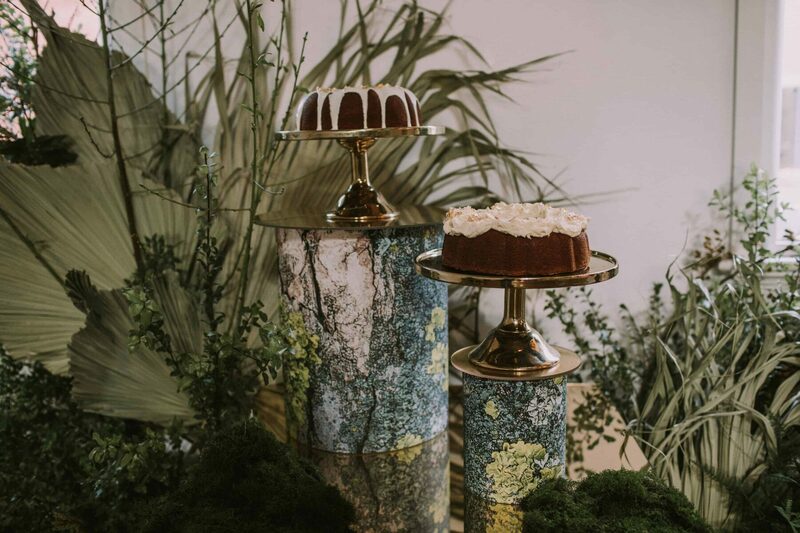 Cakes with dripping icing and gold accents by Sukar sit atop dramatic columns matching the tabletop. 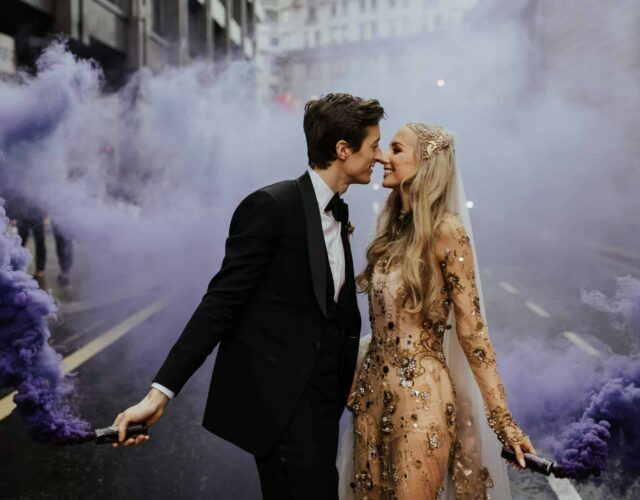 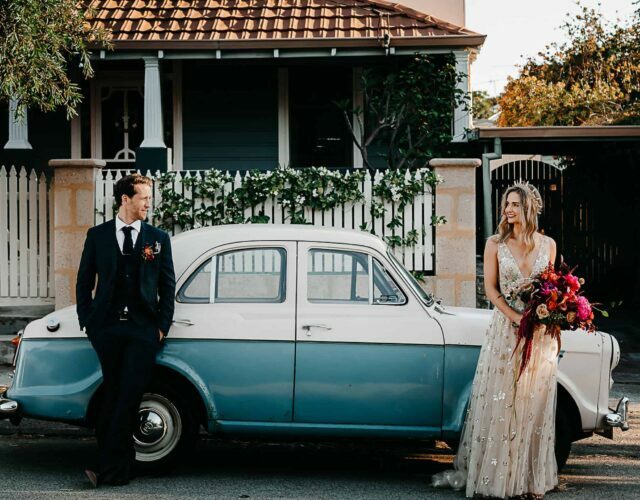 A stunning draped column gown with dramatic bell sleeves from Through the White Door is the ideal choice for a modern bride, complemented by sleek hair and makeup by The Pretty Parlour. 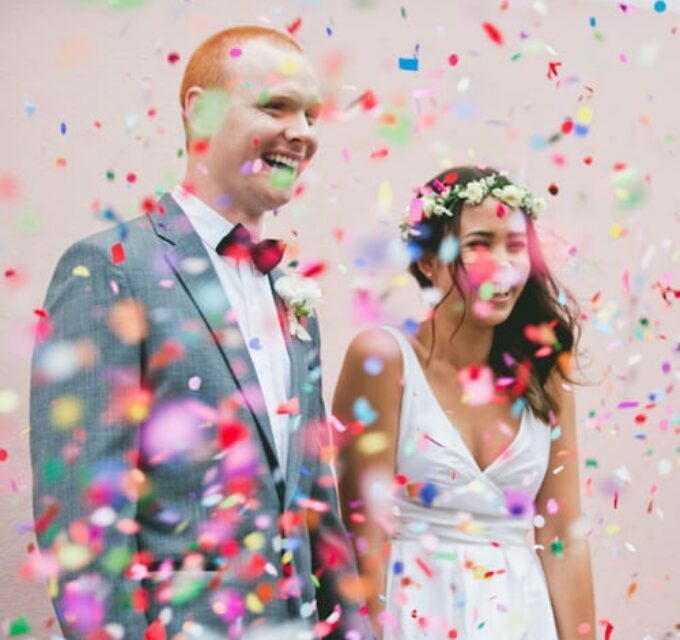 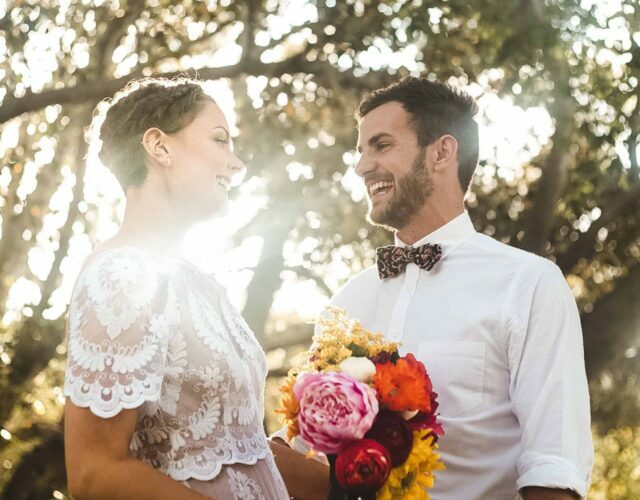 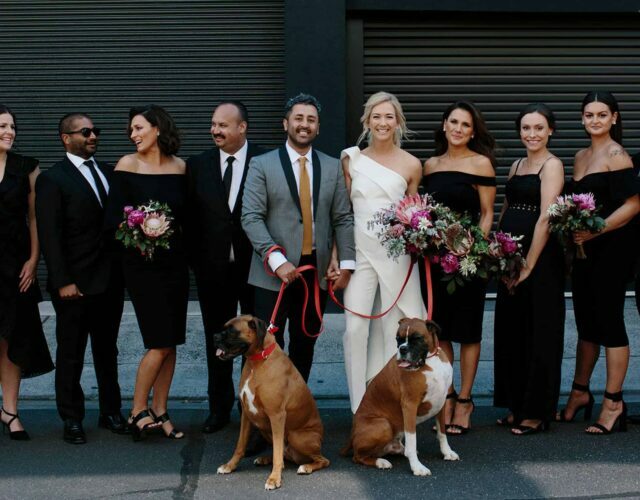 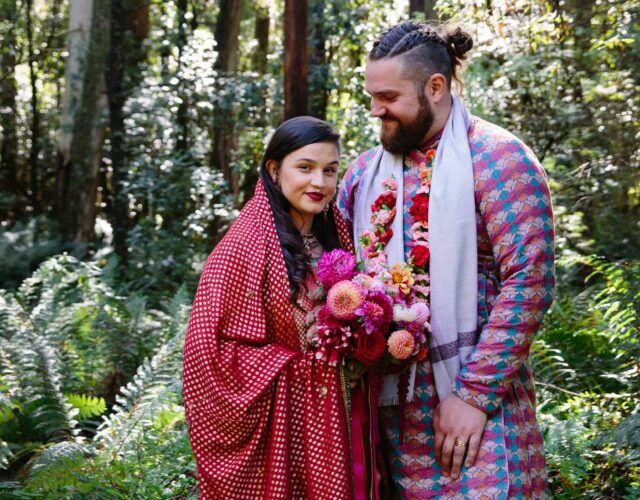 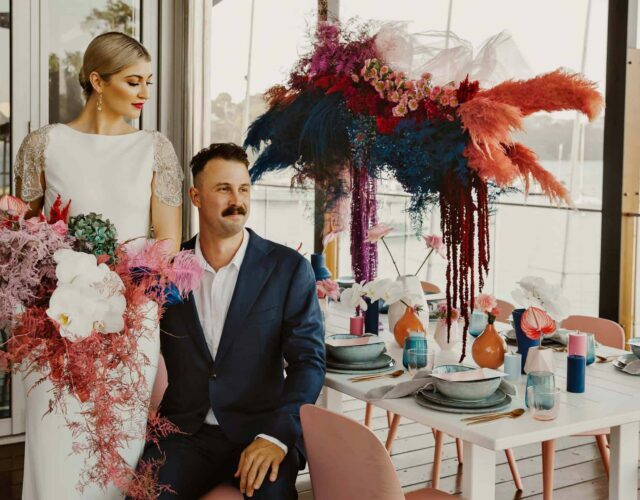 Perth couples can chat to all the vendors featured in this shoot plus a host of others at the Flour Factory Open Night on Thursday 13 September from 5:30pm to 8:30pm at 16 Queen Street, Perth. 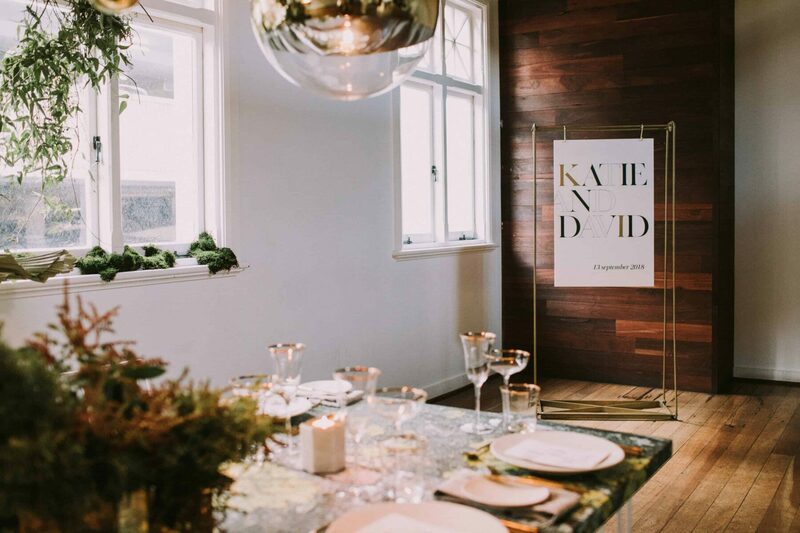 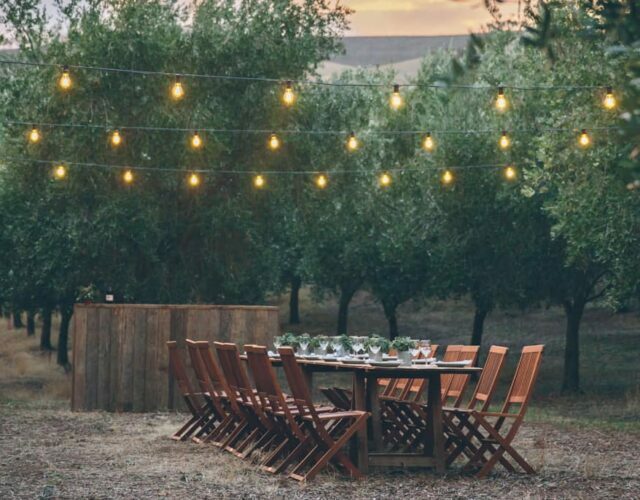 The night is set to be special with complimentary drinks and canapes, a feature grazing table and, for the gents, a Varnish on King pop-up with whiskey and bacon pairings! 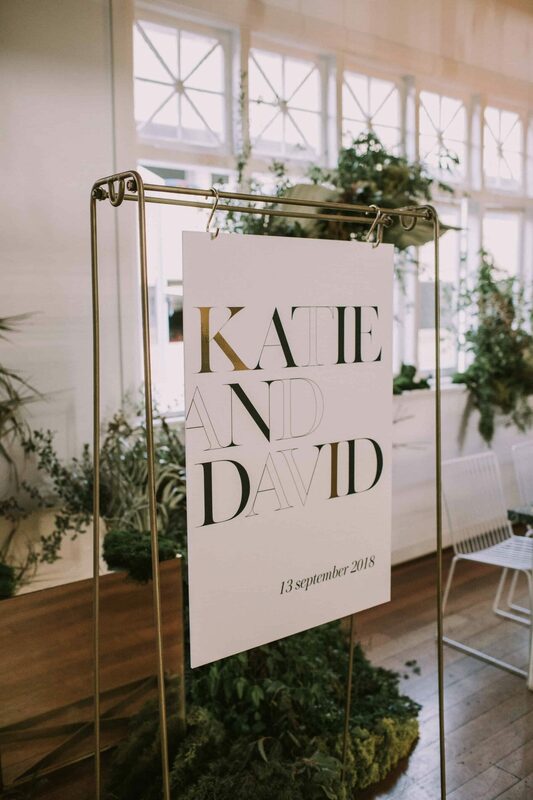 Plus, if you register your interest to attend the event here and decide to make a booking on the night, you will be in the running to win a range of prizes, including complimentary venue hire (conditions apply).